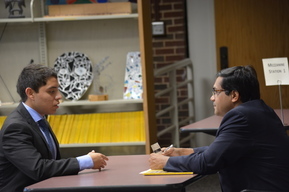 Each year October (October 8) brings Mock Interview Night for Seniors. This is an opportunity for students to get dressed in their Sunday best and work on their interview skills. Ms. Berryman and Ms. Nees work tirelessly to recruit over 60 individuals from the community to take three hours of their evening to devote to interview night. 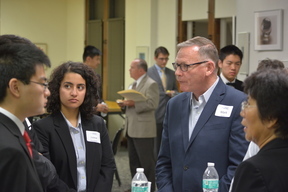 Light conversation from 2017 Mock Interview Night. 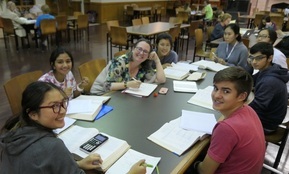 If you take a quick glance into life at OSSM you will find that the students are kept very busy and are provided with a number of opportunities most public high school students don't get. 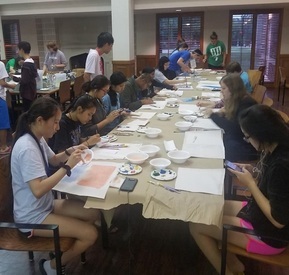 The last two weeks, students of course attended class and labs, but "extra study time" was provided by our very dedicated faculty and our extraordinary president, Dr. Wang. 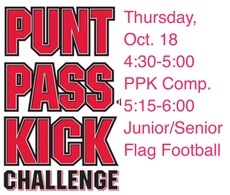 During the week, those that wanted to participate, were challenged in P.E. by Coach Vossen with Ultimate Frisbee. All of the students were wowed by Wednesday assembly speaker, Thomas Hill III, President of Kimray. The yearly blood drive brought most of the OSSM community together to participate. The icing on the cake for most was the late night fried rice surprise. Everyone loves when Dr. Wang prepares his chicken fried rice, post stickers and steamed mini pork buns. Parent volunteers were on hand to help in the preparation and clean up. 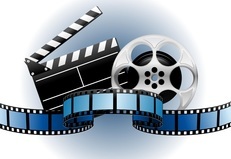 Last but not least was arts and crafts and a fun movie, Oceans 8, to keep students busy over the weekend. Visit the Gallery for pictures of all the fun events. Art Night & Pizza tonight was hosted by Ms. B and PAOSSM on Friday, September 28th. 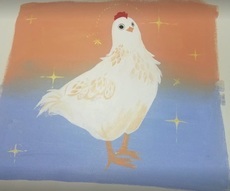 Students enjoyed using their creative side of the brain and painted some interesting pieces of art. Research shows that making art helps improve brain functions and can change your brain for the better. Art piece created at Art Night & Pizza Tonight. 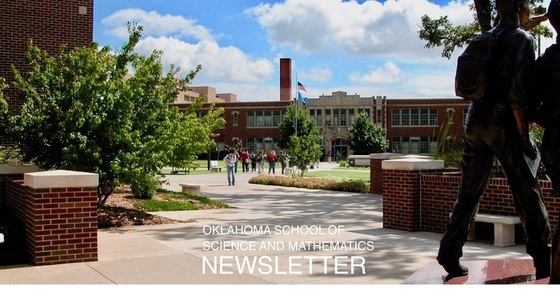 OSSM's footprint extends far beyond its campus in Oklahoma City. 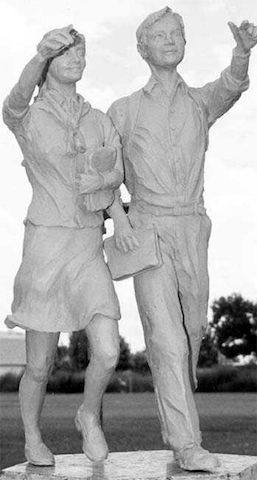 In addition to the residential campus where students from all 77 counties of Oklahoma have attended at some time in the school's storied history, there are 8 satellite locations - in Drumright, Enid, Muskogee, Okmulgee, Poteau, Stillwell, and Tahlequah. 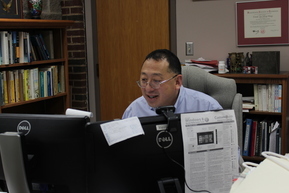 See Dr. Wang demonstrate his "mad math skills" on a 2014 News 4 segment. Dir. of Admissions, Bill Kuehl, welcomes parents and introduces admin. staff who did mini presentations. 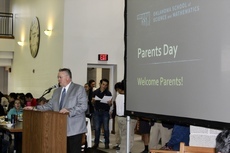 Parents Day took place on Saturday, September 29 for all junior and senior parents. The day got started with lunch served by Valley Services and the program got underway with Mr. Kuehl introducing various OSSM staff. Amanda Bonnett has been at OSSM for almost a year working as Dr. Wang's executive assistant. 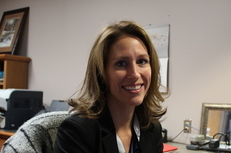 Before coming to OSSM, she worked at Mid-America Christian University for over 5 years. Amanda received both her undergraduate and graduate degrees from MACU in Psychology and Counseling, respectively. She has two children: an 18-year-old daughter and a 9-year-old son and lives in Cushing, Oklahoma. 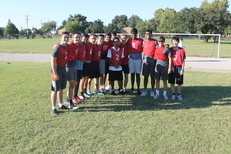 Floor C-2 earned the Dan Little Residence Hall 2018 Male Ultimate Frisbee Tournament championship with a 6-4 victory, Thursday, September 27. Floating into the second half with a commanding lead, the players hung on to defeat floor A-2, which mounted a strong comeback. Thomas Hill is Chairman of the Board for Kimray and spoke to the students about what Kimray does but more importantly what he has learned by being in the business world. He offered advice about being present in the here and now and talked about the importance of building good relationships. 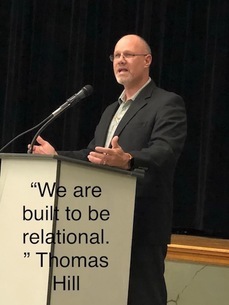 Mr. Hill is also an author, his first book, “Recovering Leadership,” Thomas shares his story and offers advice for other leaders who abuse power, success and control.